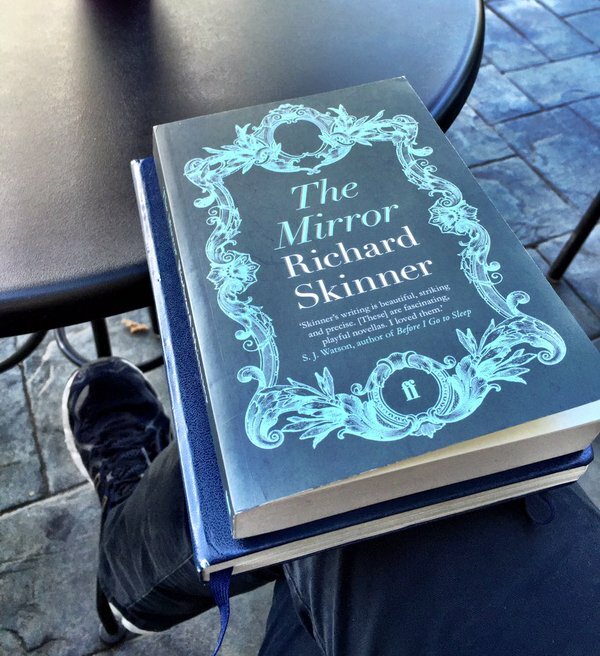 Richard Skinner is a writer working across fiction, life writing, essays, non-fiction and poetry. He has published three novels with Faber & Faber, three books of non-fiction and three books of poetry. 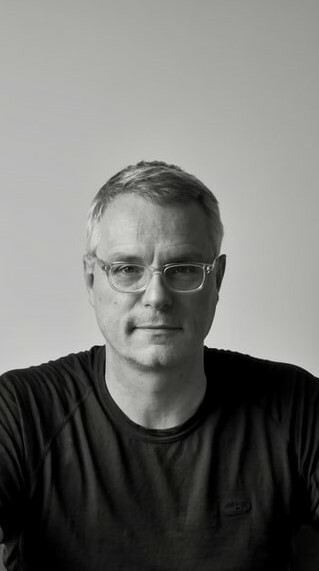 His work has been nominated for prizes and is published in eight languages. Richard’s poetry first appeared in the Faber anthology ‘First Pressings’ (1998) and since then in anthologies for William Blake, John Berger and Médicines Sans Frontières. His latest book of poems ‘The Malvern Aviator’ was published by Smokestack in April 2018. Richard is a long-standing member of the group Pablo’s Eye whose 2017 release ‘southlite’ was produced using dub techniques and is based on his writings. 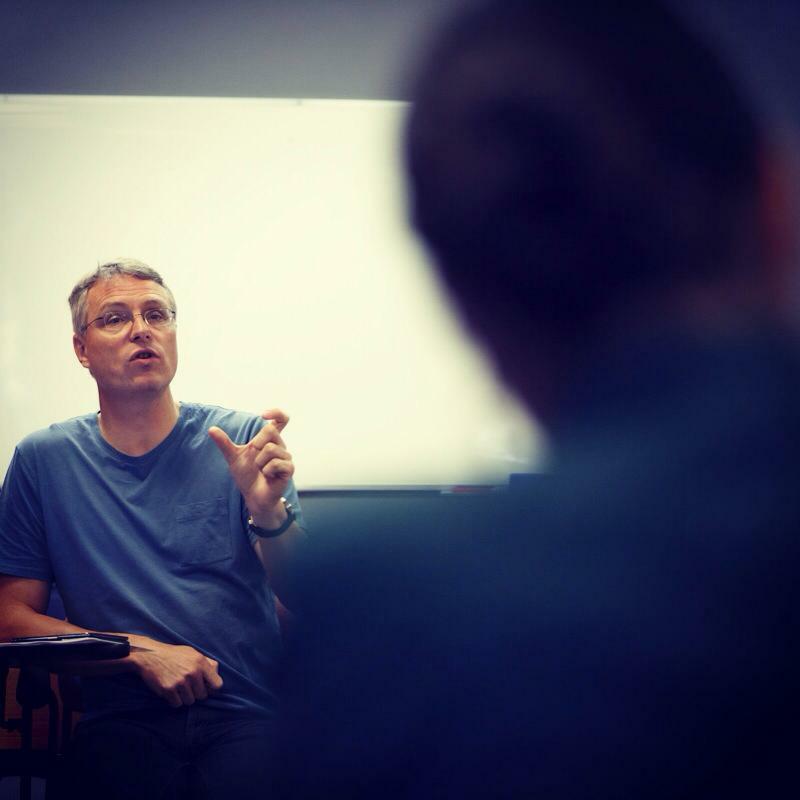 Richard also runs Vanguard Readings, a London-based reading series which has been running monthly since 2011 and has so far included more than 60 events. In 2014, he founded Vanguard Editions and has so far edited and published three anthologies as well as six original single-authored books of poetry, stories and art-writing. 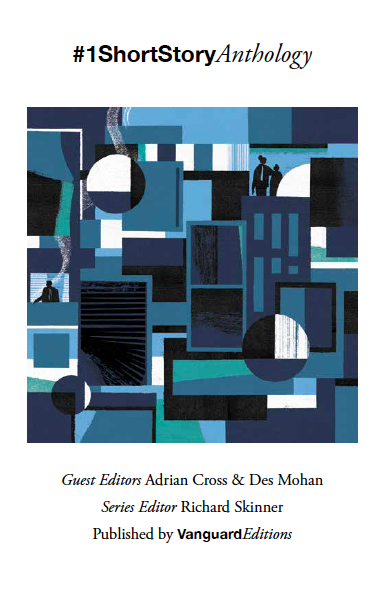 Vanguard Editions has an ACE-funded Social Action imprint that publishes books to support and promote marginal voices. Richard is Director of the Fiction Programme at Faber Academy. Hi Richard, thank you for agreeing to be interviewed. It is a long time since some of your poems appeared in the anthology ‘First Pressings’ (Faber and Faber, 1998). Can I ask why your first full collection ‘the light user scheme’ took fifteen years to find a publisher? I wrote ‘the light user scheme’ over two fevered summers in 1996 and 1997 as a commission for a Belgian collective of musicians called Pablo’s Eye. They made highly unusual and original tracks that were spoken-word stories set to dub music and were very insecure about their level of English, so they asked me to write some stories for them. I absolutely loved their work and was very honoured to be asked and I set about my task with real joy. To be used as lyrics, I knew the stories had to be very short so I set myself the rule that none of the stories could be longer than seven lines. Rather than constraining me, this rule was incredibly liberating and the stories poured out of me. I couldn’t stop writing them and ended up with 74. Pablo’s Eye were a bit surprised but delighted, too, and selected 6 to use as lyrics on an album we did together called ‘all she wants grows blue’. It’s one of the projects I’m most proud of in my life. Anyway, I had these 74 very dense micro stories and thought that they would make a good collection. Faber published a selection of them in ‘First Pressings’ and some more appeared in issue 69/70 of (now sadly defunct) Staple magazine in 2008. Over the years, I sent the collection out to various publishers but the poems were just too weird for anyone to take a risk on them. Then I came across Smokestack, whose mission statement was to publish poetry that was ‘unfashionable, radical, left-field’, and I thought Smokestack might be a good home for them. I sent the collection off to Andy Croft in 2011 and, much to my delight, he ‘got’ them and agreed to publish the collection, which he did in 2013. So, a long and arduous route to publication, but worth the wait. Thanks, that’s really interesting. I like the idea of your self-imposed rule being liberating. I suppose it is like using one of Brian Eno’s Oblique strategies (‘use fewer notes’ springs to mind, given the emphasis on brevity in this case) or writing poems within the constraints of traditional form. I remember Staple. A lovely magazine. I’m sure you get asked this next question a lot, so apologies in advance if you do. I am interested to hear how being a novelist relates to writing poems. Does one form of writing help with the other in terms of ideas or themes? Do you bring a different mindset to each? Yes, a lot of people ask me that question and I’m not sure I know the answer. Increasingly, I feel that poetry is my first and foremost ‘calling’—I started out writing poetry and I know I’ll end my days sitting in a bath chair wrapped in a blanket trying to finish a poem. In my late twenties, I hit some kind of brick wall with my poetry and I didn’t know how to break through. That was when I turned to prose and I got an immediate response with my prose in a way that I never had with my poetry, so I went off on that tangent from then on. Novels are big and baggy with a lot of room for error and you have to learn to love the imperfections. Not so with a poem. If there’s a mistake in a novel, it will survive; but if there’s a mistake in a poem, it will sink. For me, a poem needs to be the striking of a tuning fork. It is fleeting and elusive. The best poems come suddenly and unbidden and the trick is to be patient and remain as empty as possible to let them in. Novels need to be built from the foundations up and they take years and years to evolve, like a planet massing. So I think they are very different disciplines that require different skill sets and different hemispheres of the brain. I guess the one thing for me that’s vital in both poetry and prose is an exactness and concision of language. I have never been able to write long novels—my editor at Faber jokes that I am the only writer of his that he has to send away to write more—because I am always looking for ways to use fewer, better words and sentences. In poetry, I tend to be drawn to short, dense, lyrical or very visual poems. Favourite poets include Sylvia Plath, Ian Hamilton, Paul Muldoon, Keith Douglas. I have always found Wallace Stevens’ work fascinating—his poem ‘Tea at the Palaz of Hoon’ is a favourite of mine—and, whichever way you turn, there is always TS Eliot. I like the idea of a bath chair and blanket. There are worse ways to go! Keith Douglas is incredible isn’t he? And only twenty-four when he died. Your poetry book is published by one of the smaller independents that don’t necessarily receive the sort of exposure other presses do in terms of reviews in larger circulation magazines, etc. I imagine your own Vanguard Editions and musical productions also have small audiences. From the upbeat conversations I’ve had with you, you always seem to be happy to be published at all – to have an ‘art for art’s sake’ approach – and not worry about the lack of exposure that often comes with being with a smaller press. I’ve been trying to survive as a writer for more than 20 years now and I don’t know any writer who doesn’t struggle to make a living from it, so I learnt a long time ago not to expect to. I have lots of different roles as a writer. The paid work I have done includes commissioned books (‘The Busby Babes’, for instance), manuscript assessment, journalism features and reviews, editing jobs, running workshops, retreats, etc., and judging prizes. I once wrote two or three books of lateral thinking problems for a games company. That was a lot of fun, actually. And then there’s my role as tutor and Director at Faber Academy, which has given me so much freedom, fulfilment and stability since it started in 2009. In a way, everything I’ve done in my life as a writer has come together and found a focus in my role at Faber Academy. Vanguard Editions is a very personal venture to me and not at all run as a commercial entity. We’re not on Amazon, we’re not with Inpress—we don’t even have a website. The only way we show the books is via social media. I only publish those pieces of writing that I have absolutely fallen in love with and which have had some difficulty being placed elsewhere because of their unusualness. It’s the Smokestack ethic again—‘unfashionable, radical, left-field’. As in life, I’m a lover of eccentrics. As a publisher, I’m not interested in publishing books that are safe or that conform. For me, it’s better to publish what you don’t know rather than what you do. That’s the whole point. The model I had in mind while setting up Vanguard Editions wasn’t based on publishing at all; it was based on record labels like Factory, Mo Wax and Erased Tapes, all of which have a very strong visual identity, which I’ve tried to incorporate into the look of Vanguard Editions. Thanks. I think you’ve certainly achieved the aim of having a very strong visual identity with the Vanguard books I’ve seen. Can you tell me something about the your new poetry book? Themes, style, dilemmas, things you like about it? This is a great question although I’m not sure, as the author, that I’m in the best position to be able to see these things. But, looking though the poems, one of the things I guess I’m most interested in is trying to make a poem ‘transformational’ in some way. It could be an illusion stripped away, a truth admitted or something finally understood, but I’m trying to make the final line or two carry a lot of weight. The poem ‘Eclipse, Salisbury Plain, 1903’ is one of those, with its closing lines: “All measures and weights calculated,/it is really his moonsick heart/that lifts and drifts to other skies.” The title poem and the poem ‘Black Water Side’ both work in a similar way. Another thing I notice is that there are quite a few poems in the collection that are pieces of social and/or family history. I use these poems to try to get into the mind and consciousness of the characters: my English grandmother, my Scottish mother, a Manx miner. I seem to write a lot about my English grandmother, who I was very close to. There are also a few poems that deal with questions of faith. I’m not a believer but I find myself drawn to questions of faith and the reasons people believe. The opening poem, ‘The Cloud of Unknowing’, is from the point of view of a follower of the Lollards and ‘Bardo for Pablo’ is a call and response poem about crossing the threshold of death. Lastly, I’m very interested in the different forms poems can take and try to experiment with form as much as possible. Lavinia Greenlaw said that, ‘The truth a poem contains often lies in its arrangement’, which I think is spot on. In ‘The Malvern Aviator’, I play around with the cento, the cinquain, the unrhymed sonnet, ekphrasis, cut-ups and free verse. That’s a very lucid answer. I’m a bit envious as I’m not sure I could tell anyone what I’m trying to do in my poems! With regard to the quotation, I’m thinking that what Lavinia is saying is that the form of the poem should reflect the content so that one informs and reinforces the other. Is that what you understand by it? Yes. I remember giving Wayne Burrows a poem of mine years ago to edit. It was called The Train and was a solid block of long lines and he cut it up into couplets because he said it mimicked the clackety-clack of a train on a track. Wayne helped edit my first pamphlet. He had some great suggestions with regard to line breaks. I didn’t realise how much I was learning from him at the time. With your new collection are there poems dating back some time? 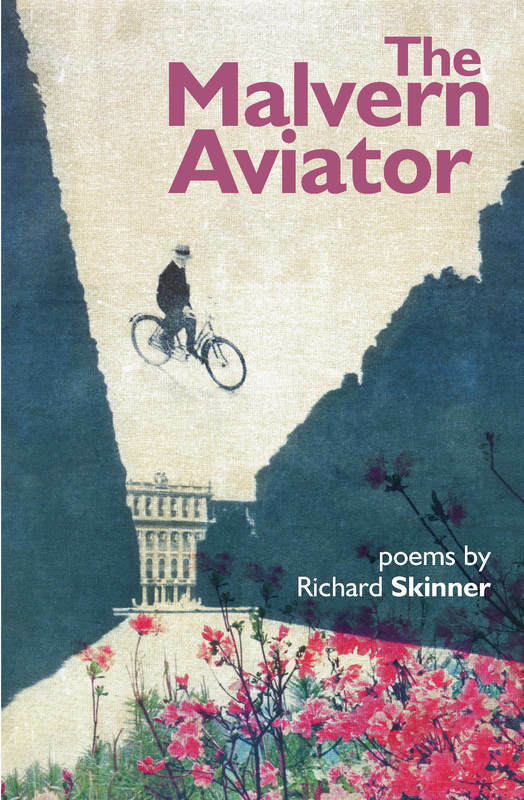 Some of the poems in my previous pamphlet ‘Terrace’ were quite old but all the poems in ‘The Malvern Aviator’ were written in the last few years. I write very few poems, most of which get filed away as ‘not good enough’. If I waited until I had 60 or so poems for a full collection, I would have to wait 10 years, so the plan is to put out a pamphlet of 20 or so poems every few years. My poetry practice hasn’t changed much over the years. I tend to make notes, read, think and then, when the feeling comes, read notes again and start writing. I write quickly, without too much thought. Once I have a first draft, I make obvious edits, then put it away. In the following days and weeks, I’ll revisit the poem often, ‘zapping’ it for changes, mainly small. I’ve never done any poetry workshops and have no idea about other people’s process, but I’ve learned to trust my instincts. The main thing I’ve learned about my own process is that, if I find I have to edit a poem a lot, it’s usually no good. I love learning about other writer’s processes. When I have asked other writers about their process I’ve found there is always something I recognise as well as something unique to that individual. How did you go about ordering the poems? In terms of ordering the poems, again it’s very instinctual. I know that the opening and closing poems have to be very strong. I think the closing poem, in particular, has to leave a powerful sense of afterlife in the reader. There’s usually a ‘showcase’ poem in the middle somewhere. Then there is the general ordering of short poems followed by longer ones, and vice versa. In this pamphlet, I knew that the two skull poems should sit side by side. ‘The Iris Gallery’ is the longest poem I’ve ever written (51 lines) and so I knew it should read across facing pages. Sometimes colours in titles sit well together, like ‘The Summer of Red Mercedes’ and ‘Black Water Side’. The final three poems in the collection are to do with my family and are very personal. Andy Croft at Smokestack is a very ‘soft’ editor, which I like, so there was very little actual editing. For this pamphlet, though, he did make one huge contribution, which was that he came up with the title. My original plan was to write three pamphlets, ‘Terrace’, ‘Jetty’ and ‘Court’—all platforms and names of indeterminate architectural spaces. When I told Andy that this pamphlet was to be called ‘Jetty’, he turned his nose up at it. He pointed out that there was a motif running through the poems of flying and clouds and suggested ‘The Malvern Aviator’ as the title instead. I took me about five seconds to realise he was right and the terrible ‘Jetty’ title was never mentioned again. Ha! I had a similar experience when suggesting a book title to my editor. Thank goodness they are there to save us from ourselves. Thank you for your time Richard. You’ve been very generous and provided some fascinating insights. cross blazes from the Sally Army HQ. Richard’s website can be found here.